Manuel P. Alfonso, 88, of West Haven, beloved husband of the late Barbara Alfonso, passed away on April 3, 2019. Born on January 7, 1931 in New Haven, he was the son of the late John and Maria Alfonso. 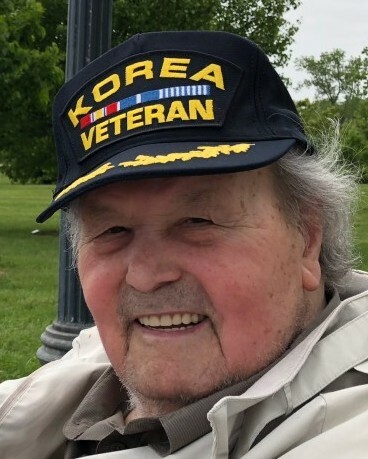 Manuel proudly served from 1948 to 1951 in the U.S. Navy during the Korean War on the USS Philippines Sea aircraft carrier. He was a dedicated employee at Armstrong Rubber Company for 25 years, eventually moving to Bic where he retired as a master machinist. Manuel was an avid sports fan, always cheering on his beloved NY Yankees and Green Bay Packers. He enjoyed his annual hunting trips to Maine with his brothers, bowling, visiting the beach, and watching classic movies. Manuel was a terrific story teller and overall loving family man who will be missed dearly. Manuel is survived by his children, Jacquelynn (Earl) Rayford, Deanna (Bruce) Barsczewski, and Gregory (Madeline) Alfonso; grandchildren, Robert and James Rayford, and Barbara (Justin) and Kristina Barsczewski; great grandchildren, Savannah, Emily, Tristan, Luke, Colt, and Ryder; brothers, Anthony “Tony” Alfonso and Alfred “Al” Alfonso; and many extended family and friends. He was predeceased by his sister, Isaura. A Mass of Christian Burial will be celebrated on Saturday, April 6, 2019, at 9 a.m. at Our Lady of Victory Church, 600 Jones Hill Rd., West Haven (MEET DIRECTLY AT CHURCH). Interment will follow at Saint Lawrence Cemetery, 280 Derby Ave., West Haven. Friends and family may call from 4 p.m. to 8 p.m. on Friday, April 5, 2019 at the CODY-WHITE FUNERAL HOME, 107 Broad St., Milford, CT 06460. In lieu of flowers, memorial contributions may be made to the Alzheimer’s Association at https://act.alz.org/site/Donation.